In any case, when I get to a point where I ramp my woodworking back up, I like to maintain the momentum when I’m at work by reading a good woodworking book on my lunch breaks. I have several authors I habitually turn to, like Nakashima and Krenov. This time, however, I went with the Schwarz. 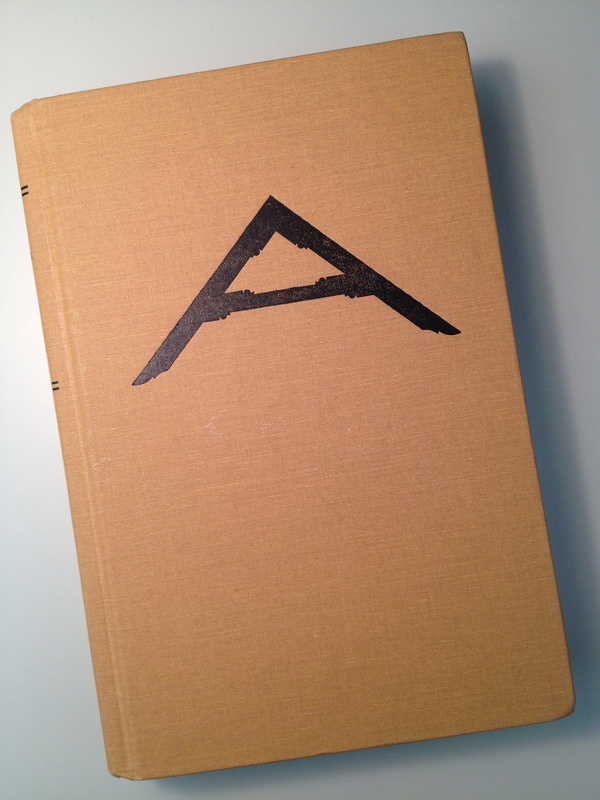 I’m now just about done with my fifth reading of The Anarchist’s Toolchest – not bad for a three year old book. I think I’ve figured out now that I turn to certain authors depending on what kind of motivation I want to generate within myself. I read Nakashima if I want to get inspiration for working with specific wood I have in my shop. I pull out my Krenov books when I’m trying to come up with different ways to enhance a project I have in mind. And I turn to the Schwarz when I need a push to make sure I’m doing the best I can. It helps me remember the phrase the artist Jan Van Eyke added to the frame of his painting, “Man with a Red Turban” – Als Ik Kan – which is Dutch for “As best I can”. (Every now and again that Art History degree gets a little bit of use!) This is a saying that was adopted by the Arts and Crafts movement as a motto of sorts. Chris, too, makes mention of the phrase in a short article he wrote for his former publication, Woodworking Magazine. Funny how things come full circle like that. Its meaning varies slightly, depending on who you talk to. It reminds me that I need to work to the best of my abilities, that I shouldn’t be happy with making “acceptable” work, but should push myself to produce the best work possible every time. Anyway… I was reading the section “Lids and Hinges” when I turned to page 427 and a slip of paper fell out. I immediately knew what it was and started laughing. My mom left that note for me to find about two years ago when she was babysitting Finley and thumbed through the book during one of his naps. I always forget it is there, though, so this is the third time I’ve turned the page and it has fallen out, surprising me. Today I needed the laugh. I’ve had a rough week with a three year old who is turning out to be a lot like his father. And while I try to use the Schwarz to help drive myself to do Als Ik Kan, it is also good to have the reminder from my mom that I shouldn’t kill myself trying to be perfect. 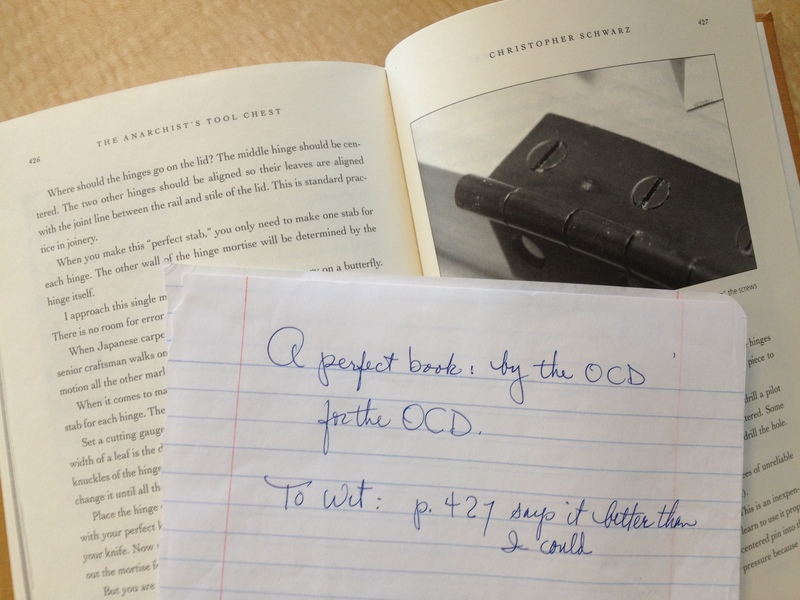 I love finding scraps of paper in books, probably one of the downsides of eBooks… I agree with you on ATC, great book. I had good teachers, including one who corrected my grammar daily from the time I could speak.